This is an easy dinner for the whole family. Try with ground beef or turkey. 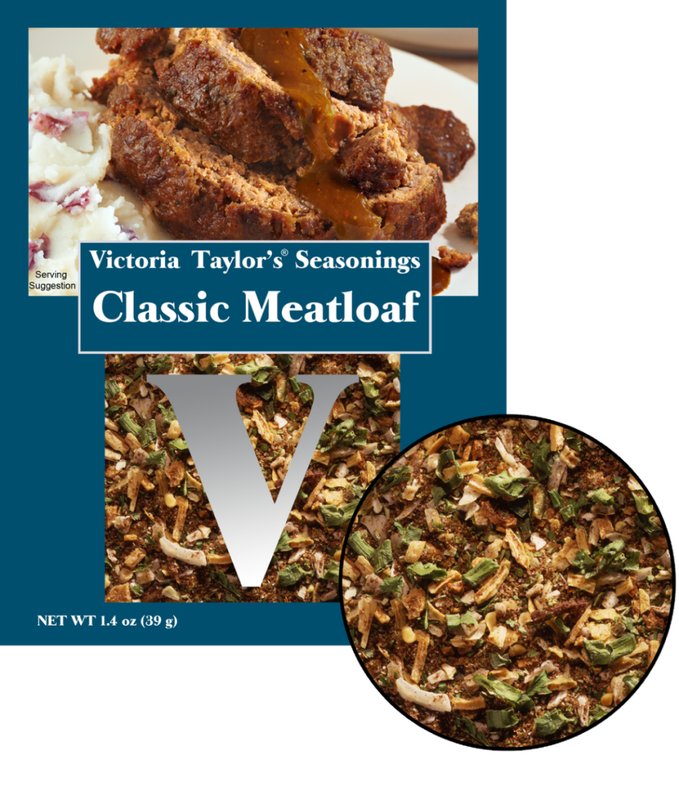 This is a one time use packet designed to make the recipe for Classic Meatloaf which is included on the back of the packet. Ingredients: Toasted onion, dried onion, dextrose, hydrolyzed corn gluten, salt, dried green onion, dried garlic, sugar, caramel color, spices, dried parsley, dried chives, vinegar type flavor (citric acid, sodium diacetate, potassium citrate, glucono-delta lactone), modified corn starch, mustard, natural flavors. Gluten free, no msg*, and free of any peanut products. *Even though there is no added MSG in this product, it can still contain free glutamates.